Property 2: Wonderful home on the Deschutes river with a private dock! Property 3: Dog-friendly house with a large yard - river access nearby! Property 9: Enjoy a private hot tub & modern comforts at this dog-friendly Sunriver getaway! 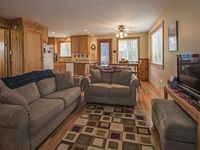 Property 10: 17166 Crane Drive is a custom Built Log Home On The Big Deschutes River. Property 12: Woodland home on one acre w/ hot tub, deck & bikes - 500 yds to Deschutes River! Property 13: MOUNTAIN VIEW RETREAT **Winter/Spring Special: 10% off or 4th night free! Property 15: Luxury Vacation Home, AC, Foosball, Ping Pong & Brand New Hot Tub! Property 16: Great Family Home within Walking Distance to Boat Dock! Pet Friendly Too! Property 18: 55905 Wood Duck - Bright home w/views of the Big Deschutes River! Property 27: Riverfront home w/ private hot tub, dock - access to shared pools & tennis! Immaculate One-Bedroom Charmer Near Sunriver! Property 34: Immaculate One-Bedroom Charmer Near Sunriver! 17211 Merganser Drive is located on the Big Deschutes River! Fabulous view!! Property 35: 17211 Merganser Drive is located on the Big Deschutes River! Fabulous view!! Beautiful Log Home On The Big Deschutes River. Property 37: Beautiful Log Home On The Big Deschutes River. 25 minutes to Bachelor! Pet Friendly, Beautiful Remodel with new Hot Tub! Property 39: 25 minutes to Bachelor! Pet Friendly, Beautiful Remodel with new Hot Tub! 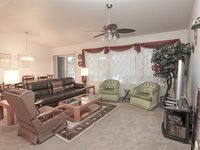 17051 Upland - Come stay at the most luxurious home at the best price on the Big Deschutes River! Property 41: 17051 Upland - Come stay at the most luxurious home at the best price on the Big Deschutes River! Property 43: 16795 Pony Express is a Beautiful Custom Home on the Big Deschutes River!! Family friendly spacious 1800 SqFt home on half an acre, that sleeps up to 8. Property 47: Family friendly spacious 1800 SqFt home on half an acre, that sleeps up to 8. Property 49: Sleeps 32; Riverfront w/ private dock, hot tub, sledding hill & disc golf! Rating Details: The property manager was very helpful. The vacation rental was spotless. I was more than happy with the location. I was very satisfied with the condition of the vacation rental. Overall, I recommend this vacation rental. Reviewer Comments: I was looking for a clean place to relax and I found it, perfect place for a dog, easy to take out back. Rating Details: The property manager was more than helpful. The vacation rental was very clean. I was more than happy with the location. I was more than satisfied with the condition of the vacation rental. Overall, I recommend this vacation rental. Reviewer Comments: Pretty good location in deep sunriver. Not in the resort part of sunriver. No wifi, or cable tv. Overall a great place to stay.